In September we are reading Susan Sontag’s essay Against Interpretation. This discussion will be chaired by F. D.
DOWNLOAD: Sontag, Susan (1966). Against Interpretation. In Against Interpretation and Other Essays, New York: Farrar, Straus & Giroux, pp. 3-14. Last Year at Marienbad  Dir. 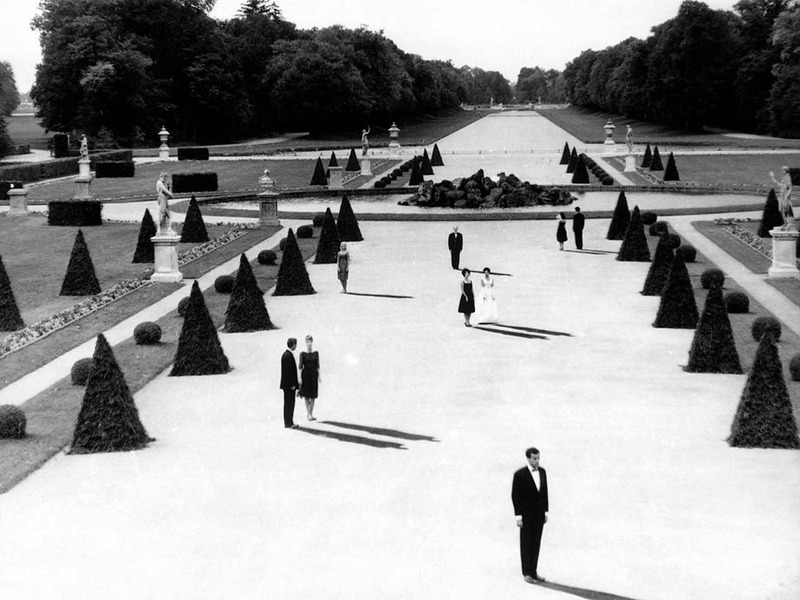 Alain Resnais. France-Italy, black & white, 94min. Against Interpretation is a collection of critical essays written by Susan Sontag and published in book form in the early sixties in New York. It was her first collection of essays on the arts and contemporary culture. The essay Against Interpretation was written within the context of 60’s America, when conceptual art was in its heyday and “theory” was paramount, she was among the first critics to write about the intersection between “high” and “low” art forms, giving them equal value. Sontag argues that even at a time when most artists and critics had discarded the representational theory of art in favour of the idea that art was more about subjective expression, the main feature of the mimetic theory of art, i.e. that a work of art was assumed to be its content or that a work of art “says something”, was still dominant. However she states that in the 60‘s the idea of content is a hindrance and a nuisance. Asking how this situation had come about she gives a historical reason claiming that over time form has become separated from content. She also claims that the over emphasis on the content of a work of art comes about through excessive interpretation which itself is designed to illustrate certain codes or rules of interpretation e.g. a Freudian or a Marxist analysis would have a bias towards that particular theory and that this bias then changes or transforms the text accordingly . Instead she believes that the function of criticism should be to show ”how art is what it is and that it is what it is rather than to show what it means”. 1/What is meant by “form” and “content”? Can they be separated? 2/What does Sontag mean by “interpretation”? A/ historically B/ in the present day when she says that “interpretation is the revenge of the intellect upon art” (Para. 4 p. 7). 3/ Does she believe that the artist’s intention is a valid indicator in the interpretation of the work concerned? 4/What does she mean by a “flight from interpretation”? (Para. 7 p. 10). 5/Is the idea of content being a hindrance still relevant today? 6/What are her proposals for desirable criticism of the arts? 7/What does Sontag mean by “an erotics of art”? (Para. 10 p. 14). Wolfe, Tom (1975). The Painted Word. New York: Farrar, Straus and Giroux. Foster, Hal (1986). Signs Taken for Wonders. Art in America 74/6, June 1986, pp. 80-89, 139. Said, Edward (1984/1975). The Text, the World, the Critic. In The World, the Text and the Critic. London: Faber, pp. 31-53. Originally published in Bulletin of the Midwest Modern Language Association, Vol. 8, No. 2, Autumn, 1975, pp. 1-23. Bordwell, David (1989). Making Meaning: Inference and Rhetoric in the Interpretation of Cinema. Cambridge, MASS: Havard University Press. Buchloh, Benjamin (1982). Allegorical Procedures: Appropriation and Montage in Contemporary Art. Artforum 21, no. 1, September 1982, pp. 43–56. Owens, Craig (1992/1980). Allegorical Impulse: Toward a Theory of Postmodernism. In Beyond Recognition: Representation, Power, and Culture. Berkeley &amp; Oxford: University of California Press, pp. 52-69. October 12, Spring 1980, pp. 67-86. Bazin, Andre. (2004). What is Cinema? (Volumes 1 &amp; 2). Berkley: University of California Press.